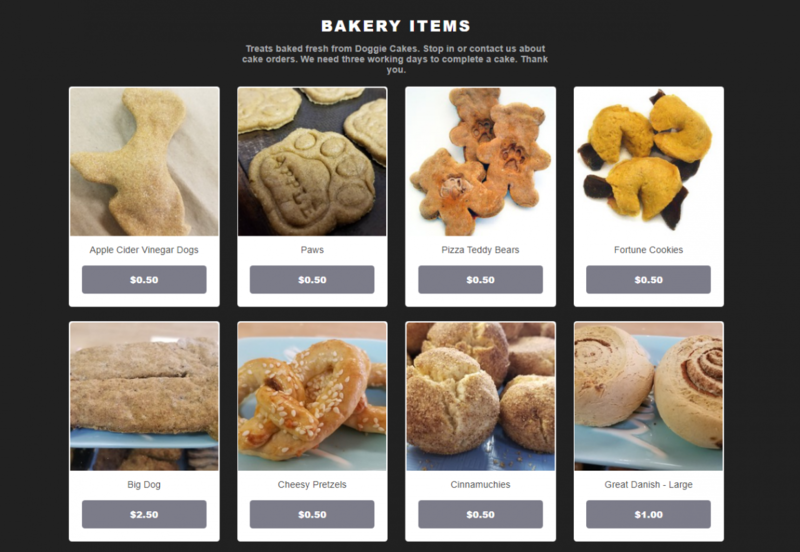 Doggie Cakes has a new, convenient shopping opportunity for local pet parents. We recently launched our Square online store, which has most of our in-store items available for purchase online, but with in-store pickup. Shoppers can see what cookies we have in-stock, and can make their selections. We will gather up your purchases and will have them ready for you, when you arrange for pick up at our retail store – Doggie Cakes Pet Bakery and Boutique – 10418 U.S. Highway 19, Port Richey, FL 34668 (Map). In addition to our fresh-baked pet bakery items, we added dog food and packaged treats, treats for tough chewers, cat items, gifts for pet parents, grooming and pet beauty supplies, pet health items, pet toys, collars, harnesses, leashes, and pet clothing to our online store. Stop in or contact us to order a doggie cake for pick-up in the store. (We need three business days to bake and decorate a cake). We also have pet-ID tags and lots more items to see and purchase in the store, so come by Monday through Friday from 10 a.m. to 7 p.m.; Saturday from 10 a.m. to 5 p.m.; or Sunday from 11 a.m. to 4 p.m.